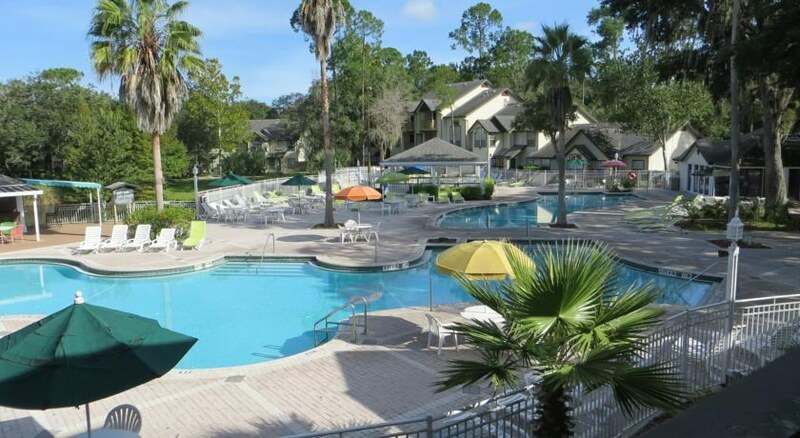 Set in a beautiful Kissimmee gated community which is close by to all the major theme parks and attractions in Orlando, Florida, Oak Plantation Resort is suited for couples and families with children. With access to two fabulous outdoor pools, a bar and free transport to the top attractions, this accommodation provides everything you need for a rewarding holiday. The units can sleep up to six adults and two children and they all come with Wi-Fi, a fully-equipped kitchen and there is plenty for kids to do when you’re not exploring the events outside. With a close proximity to the main sights, several golf clubs and a relaxing environment, Oak Plantation Resort is a suitable place to stay if you want a quieter vibe for your accommodation. 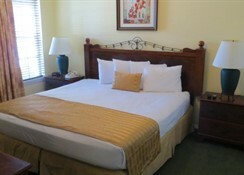 Located in Kissimmee, Oak Plantation Resort is set within a gated community. 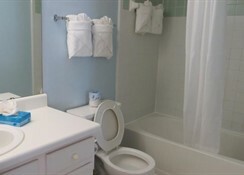 Walt Disney World is 7 miles from the property while you can avail of the free transport to many of the main attractions. 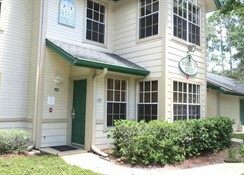 Universal Studios (14 miles), SeaWorld (7 miles) and Disney’s Animal Kingdom (9.4 miles) are all easily accessible. There a several golf courses nearby including Kissimmee Golf Club (1.8 miles) and shoppers can head to Prime Outlets (6.2 miles) and the Florida Mall which is 10 miles away. 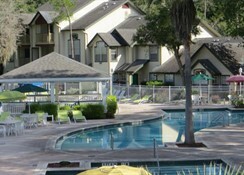 The Orlando International Airport is 12 miles from the resort. 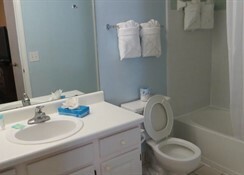 The accommodation options can sleep up to six adults and two children. One Bedroom units consist of an extra-large double bed and one sofa bed, Two Bedroom units have two double beds, one large double bed and one sofa bed and there is also a Junior Suite that has a separate living room. 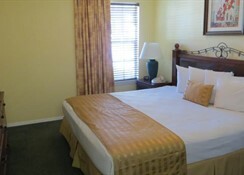 All the rooms come with Wi-Fi and there is a fully equipped kitchen in each room. Oak Plantation Resort provides a buffet breakfast each day between 7.30am and 10.30am, and there is also a mini-market on-site which sells a range of snacks. There is also a Tiki Bar beside the pool that also provides a range of snacks such as pizza, hot dogs and hamburgers with happy hour drink specials. Golfers will enjoy the location of Oak Plantation Resort as it is nearby to a host of courses where you can get 18 holes in under the Florida sun. The resort itself also boasts two outdoor swimming pools, tennis and basketball courts, access to a fitness centre in addition to a games room for kids – perfect for active families. You are close to a wide selection of shopping opportunities including Prime Outlets Orlando and Kissimmee Value Outlet Shops.